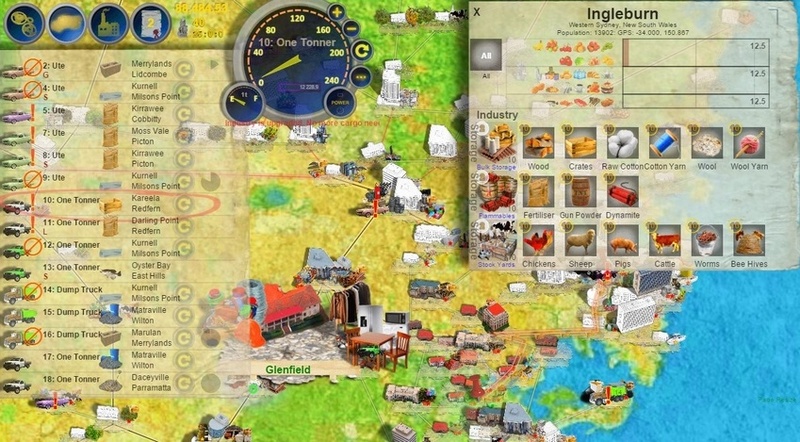 LOGistICAL Play it - Play the game online now without download or install. Get trucks and deliver what each town requires. Take cargoes to the factories to produce new cargoes. Fix the broken roads. Get it all done before the town consumes it all. LOGistICAL Understand it - Manual/Wiki and some bloggs with hints. LOGistICAL Forum - Players meet each other, report issues, etc. A continuous dog racing game. Remember that eCoin "Doge", well this was to be the Doge Racing game where you could bet micro cents on the dogs. Betting is disabled. Have a play, guess the winner. Not really a game, but great to watch on a big screen. At a party. With the music up. Click for full screen.